An intruder break-in at Madonna’s London home while the singer and her children were in the United States for the pop singer’s grandmother funeral. The intruder, Grzegorz Matlok, a Polish national who is believed to have stalked Madonna before he was discovered by Madonna’s security team and wrestled him to the ground. The intruder broke in through a window of the singer’s Marylebone home. He has been charged with burglary. The 29-year-old Polish national appeared in court in Westminster and prosecutors claimed he had arrived in Britain from his native Poland hours before the alleged break-in. According to prosecutor Punal Chopra, Matlok, as he was interviewed, he rang the doorbell but he has not received an answer, so he climbed up through the balcony using a rope that he brought it with him. 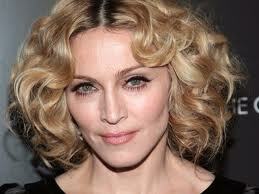 He then entered the bedrooms and disturbed the bedclothes particularly the bed belonging to Madonna. He explained to police that he had traveled from Poland with the specific intention of meeting Madonna who he believes he has an intimate relationship with, according to reports.